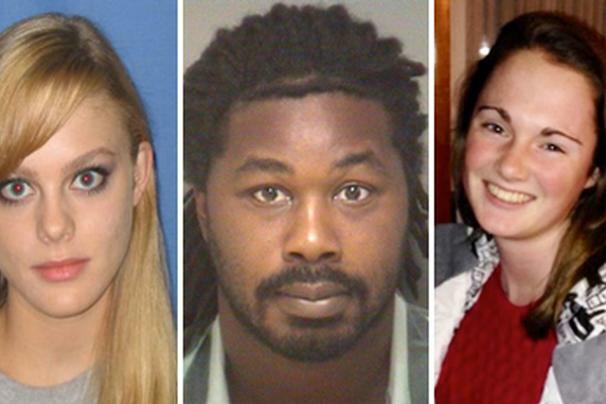 Where is #HannahGraham? #JesseMatthew #MorganHarrington – WHO KILLED THERESA? My guess is that Jesse Matthew is just smart enough not to follow his previous behavior. Hannah Graham will not be found south of C’ville, where Morgan Harrington was found . I live just south of C’ville and I can attest that pretty much the whole area outside the city is rural. JM grew up here and knows the area well, so Hannah could be just about anywhere, unfortunately. Do you agree with the conventional wisdom that Hannah will be found not more than 8 miles from where she was last seen (on videotape)? Apparently searchers have covered about 70% of that territory to date. worked at Uva hospital … Cleaned operating room??? Where do they put that stuff ??? I completely agree. It has to do with convenience / the probable-possible. So these notions of him on a killing / dumping spree all the way to Galveston are just silly. Too inconvenient / too much risk. Traceable evidence all the way home. * miles sounds about right, from my experience. I don’t know yet. Did he really clean operating room? I have not seen that. He does strike me as a gentle-giant. Like Lenny in Mice and Men: doesn’t realize he’s squeezed the life out of the rabbit until it’s too late. But not an innocent. Learns from experience then exploits it. had one). …that he may have been driving near Blacksburg????? Like I said….random….but I have my reasons for wondering. I have no knowledge of that Keynajo, but the dreads are intriguing, and when exactly he started wearing them is an important question. It’s camouflage (think of all those beards in Zero-Dark-30 ). This is my point – and others – about him being impulsive, but just smart enough to adapt. The dreads are a disguise. there is an image of Matthew by a taxi that he drove from this article – at the time of Harrington’s disappearance in 2009. it’s from C-Ville weekly…he had short hair then…. don’t know about an old caprice/caddy? That’s the odd colored red / orange one, right? I have seen images of it. I know police are asking if anyone saw it.